Whenever I am asked for my opinion on the future drivers of loss prevention, my immediate response is always technology. I am a man who started his career during the more conventional era of physical security, when “hardening the target” referred to the securing of the perimeter from the outside in. But today, the convergence of IoT and physical security has created smarter devices that offer not just security, but data as a valuable and useful byproduct. These advancements have challenged physical security professionals to redefine their role within the security ecosystem, and work with their digital counterparts to develop a more holistic approach towards securing physical assets in a more connected world. My philosophy has always been that security is all about layers, each layer working alongside the other to secure assets at multiple points of vulnerability. A layered security approach allows you to deter, delay, defend and now with the help of GPS, recover your assets. IoT-enabled security devices are significantly changing the landscape of physical security. With surveillance cameras and access control devices that can communicate with other security deterrents, companies can now get viable security alerts about specific physical environments at a much faster rate. At the SIA conference “Securing New Ground” I attended a few months ago, the talk was not just of smart devices but of smart cities and the possibility of faster response times and intelligent video systems that generate more accurate dispatches for police and emergency services. At the SIA conference “Securing New Ground” the talk was not just of smart devices but of smart cities and the possibility of faster response times and intelligent video systems that generate more accurate dispatches for police and emergency services. As CEO of 3SI I have personally witnessed the power of IoT. 3SI began as the leading provider of smoke and dye technology primarily servicing the Banking industry. The introduction of IoT has afforded us the opportunity to grow our product line exponentially, providing intelligence-enabled solutions that offer security alerts in real time, digital trails of security events and geofencing capabilities. Our clients use our tracking devices in tandem with cameras, CCTV and alarm systems. 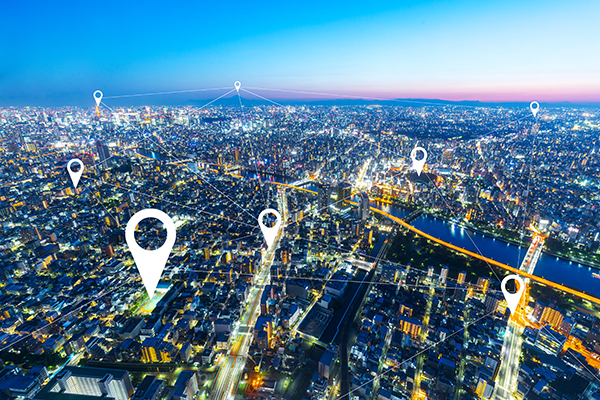 When those “layer one” solutions fail to secure the outermost perimeter, GPS tracking provides an alternative method to criminal apprehension and asset recovery. As I head out to ISC West this week, I’m anxious to see the latest on the IoT front and figure out how 3SI can leverage the advances to be even better at what we do. A wise person once said that “safety doesn’t happen by accident” … I know this to be true. Creating a safer environment requires a strategic approach that employs a variety of technologies that support each other without sacrificing functionality or safety. Did you agree with Todd’s opinions? Feel free to share your comments or thoughts here! LIKE THIS ARTICLE? CHECK OUT RELATED CONTENT!